Studies show that Inositol helps many Trichotillomania suffers. I find that it reduces the urge to pull, which helps with my focused pulling. The Inositol also increases my awareness, which decreases my unfocused pulling. Following this regimen, I worked my way up and now take 18g each day. I do this by mixing 3 teaspoons (1 tablespoon) of inositol in water 3 times a day. I have found the Jarrow brand powder (shown above) to dissolve well. It is available on amazon for reasonable price. I mix it with warm water as it dissolves better that way. You can add it to fruit juice or other sweetened drink. I simply mix the powder with ~3oz of warm water and drink plain as it has a mild sweet taste that I actually like. In addition to Inositol, l I take 1800mg of NAC, which I started several months before the Inositol. I did not see much progress with that alone, therefore I added the Inositol. If you are considering both supplements, choose one to start with, otherwise you will not know which is helping and or causing side effects. I have taken Inositol on and off for 2 years. When I first started the recommended regimen over 6 weeks, I noticed many GI side effects. When I unexpectedly became pregnant a couple months later, I had to lower my dose because it increased my nausea. That did not help so I discontinued the Inositol until my morning sickness passed. Reassured by my OB that Inositol is safe while pregnant and breastfeeding, I slowly reintroduced the Inositol. I only took 1-2 because it aggravated epigastric pain I had while pregnant. The lower dose helped a bit, but not nearly as well as the recommended 3 TBSP. Now that I am back to 3 TBSP per day (which I take in one large dose at night to help my insomnia), I am definitely feeling the benefits. It decreases my urges and makes me more aware of pulling. It cannot be taken together with Lithium, as it seems to block its action. The chief side effects of inositol are gas and diarrhea. Some people get this for the first few days and then it clears up. Many of those taking it never have this side effect, and some only get it when they take more than a particular amount. I have heard reports that caffeine lowers inositol levels in the body, so if you are a heavy coffee drinker, you might consider cutting down or eliminating this from your diet. Actually, stimulants such as caffeine can sometimes contribute to anxiety, jitteriness, etc. It should be purchased in powdered form, and taken dissolved in water or fruit juice. It has a sweet taste, and is chemically related to sugar. If it is allowed to stand for about 10 minutes after mixing it, it seems to dissolve better. Vigorous mixing for a few minutes also helps. If it still doesn’t dissolve well (not all brands do), stir it up and drink it quickly before it settles. The use of powder is recommended, as the larger doses required could require taking as many as 36, 500 mg. capsules per day. A child can be built up to 3 teaspoons per day over the same six-week period. Dosages for adolescents can be adjusted according to weight. In either case, it is best to allow side effects to be the guide. If they begin to occur, it is not considered wise to increase the dosage unless they subside. Research shows that nutritional supplements may help mental health including trichotillomania. Lately I have focused on inositol and NAC as I have heard about these supplements in many trichotillomania communities with varied success. I started taking NAC (N-acetylcysteine) about five years ago and have noticed a decrease in my urge to pull when I take it 5-6 days per week. I have gone though periods where I did not take it or did not take enough that I notice any benefit. I recently added inositol to increase the benefits of NAC. It is generally agreed that a large dose is needed for inositol to be effective with trich. I worked my way up to 18g per day. I do this by mixing 3 teaspoons or 1 tablespoon of inositol in water 3 times a day. I have found the Jarrow brand powder dissolves best. It is available on amazon for a reasonable price. I mix it with warm water as it dissolves better that way. You can add it to fruit juice or other sweetened drinks. I simply mix the powder with ~3 oz. of warm water and drink it plain as it has a mild sweet taste that I actually like. This very thing was confirmed in 2009 with the publication of an article by Grant, Odlaug, and Kim in The Archives of General Psychiatry, titled “N-acetylcysteine, A Glutamate Modulator, In the Treatment of Trichotillomania.”This study, which lasted 12 weeks, investigated the use of the amino acid N-acetylcysteine (NAC) in 50 patients with TTM, and found that 56% of them were rated as improved or very much improved. A much smaller previous pilot study had also found positive results. What exactly is NAC? NAC is a natural sulfur-containing amino acid that is a breakdown product of the amino acid L-cysteine, and is in turn broken down by the body and converted to a powerful antioxidant known as glutathione.Antioxidants can repair oxidative stress in the body. Oxidative stress occurs when cell metabolism produces an increased level of oxidants known as free radicals that tip the balance between themselves and antioxidants in the body.These free radicals can cause the breakdown of cells, damaging proteins, genes, and cell membranes. Substances known as antioxidants act by neutralizing free radicals, and some are produced naturally by the body. Some have theorized that hair-pulling may be the result of the effects of oxidative stress within the brain, and that NAC can help reverse this. The maternal side of my family contains a history of severe mental illness. My maternal grandmother suffered from schizophrenia and died in a mental ward. My mother has been institutionalized repeatedly, suffering from a decades long battle with bipolar disorder. My younger brother is a legitimate sociopath. He is not merely “dark triad.” He has actual antisocial personality disorder. He has no feelings of empathy or kindness or decency. Lacking the vision to rob banks or become a drug kingpin, he is currently free after spending 10 years in prison for shooting his one-armed drug dealer. In other words, there’s some funny business in my DNA. I used to get depressed and feel anxious. I never had full-on panic attacks, but I would have severe anxiety that would leave my brain spinning. My skin would break out in rashes. I conquered this anxiety through two means, as anxiety and other mental illnesses have two components – physical and psychological. The psychological components of anxiety come from society and the brain washing. That is where state control, reframing techniques, and other Mindset Training comes into play. The physical components of anxiety and depression come from a variety of sources – poor nutrition, lack of sunlight, excessive oxidative stress, high cortisol, and heavy metal poisoning. N-Acetylcysteine (N-A-C) has been clinically proven to help treat symptoms of anxiety and depression. N-Acetylcysteine is a powerful nootropic with still many unstudied benefits. N-A-C has been used by visionary doctors to help treat intractable depression and anxiety. Why haven’t you heard about the magical effects of N-A-C? Simple. Go on Amazon and see how much a bottle of N-A-C costs. My mom was on a $1,500 a month cocktail of drugs. No one would listen when I suggested they buy a $15 bottle of N-A-C. But the science is there. Why does N-A-C help treat depression? Acetylcysteine is a glutathione precursor. That is, acetylcysteine is converted into glutathione. 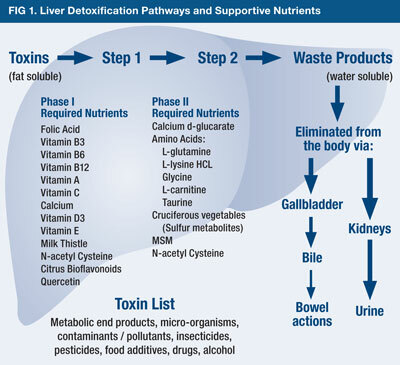 Glutathione is an antioxidant that used by your liver to detox your body. Emergency rooms give high doses of NAC to patients that have overdosed with Tylenol. The Wahls Protocol: How I Beat Progressive MS Using Paleo Principles and Functional Medicine (Amazon). Smash Chronic Fatigue: A Concise, Science-Based Guide to Help Your Body Heal, and Banish Fatigue Forever (Amazon). Could mental illness be caused by toxins that your liver is unable to clear from your body, due to a glutathione deficiency? That is not so far fetched, and in fact the cutting-edge of mental health research is on the role toxins and oxidative stress play in mental illness. Do you know what else boosts glutathione? Yes, that’s right, juicing boosts glutathione. Drinking beet juice also boosts glutathione. Perhaps that is why there is considerable support for the proposition that juicing can treat depression and increase feelings of well-being. How much N-A-C should you take? That would be medical advice, which I don’t give. However, participants in the studies usually used between 1 and 2 grams daily. Why take N-A-C instead of glutathione? If N-A-C is a precursor, wouldn’t it make more sense to take glutathione directly? That seems intuitively correct. 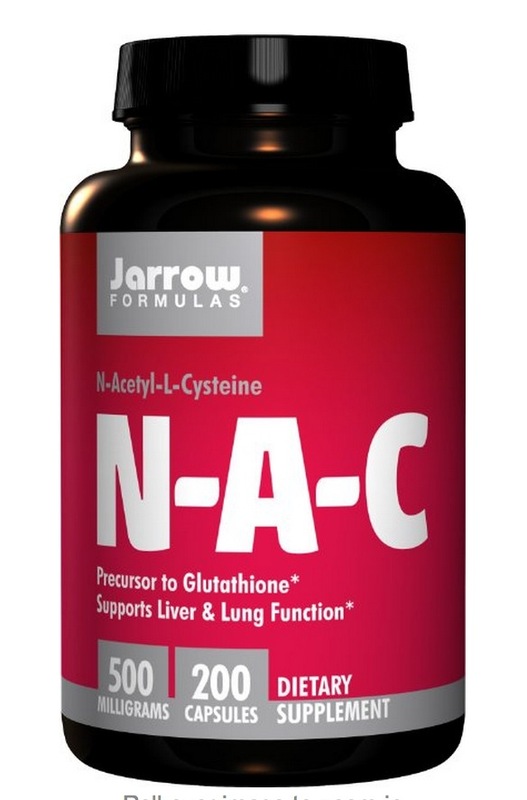 There is some evidence to suggest that N-A-C is more bioavailable than glutathione. I personally use N-A-C because that was the compound studied. How much glutathione would one need to take to get the same benefits that one can obtain from 1 to 2 grams of N-A-C? As I don’t know, I went with N-A-C.
You are of course free to try both for yourself to see what works best. What brand of N-A-C is best? As the supplement industry is unregulated, I generally prefer to use use two brands of supplements – Life Extension Foundation and Jarrow. I personally use Jarrow’s form of N-A-C Sustain, which is time released. (Amazon). For more information on oxidative stress, nutrition, and various maladies, watch this video. In an Italian study, researchers found that NAC 1,500 mg/day, reduced the development of flu symptoms by 75 percent and improved immunity among a group of seniors during an epidemic of H1N1 flu. In the following article, Byron Richards further explains how NAC can help you fight the flu. N-acetylcysteine (NAC) is an important nutrient for respiratory health and immunity, including defense against the flu. The nutrient has been used longer than four decades to help break up and clear mucous from the airways. The latest research continues to show that it is a potent anti-viral compound warranting widespread use in the winter months to help ward off the common cold as well as the flu. NAC has long been known as a flu-fighting nutrient based on a 1997 study of 262 older adults who participated in a double-blind randomized placebo-controlled study over a six-month period, some taking 600 mg of NAC twice daily or the others placebo. Individuals taking NAC were much less likely to have clinical influenza illness (29 percent of the NAC group compared to 51 percent of the placebo group. Flu that did occur in the NAC group was much less severe. Tests showed that cell-mediated immunity continually improved with NAC supplementation whereas it remained unchanged in the placebo group. In modern times NAC has continued to impress. Those with compromised lung function are at very high risk for problems should they get a respiratory infection. In such patients NAC has been shown to reduce respiratory symptoms, reduce flu virus replication, and dramatically lower the inflammatory damage caused by viral infection. This means NAC is good nutritional support for any person who typically is susceptible to respiratory infection. As with any nutrient and an active infection, they do not replace proper medical care or treatment. Rather, they should be viewed as part of your support team to help prevent a problem or to help your body better cope should you get a bug so as to help reduce the severity as much as possible. 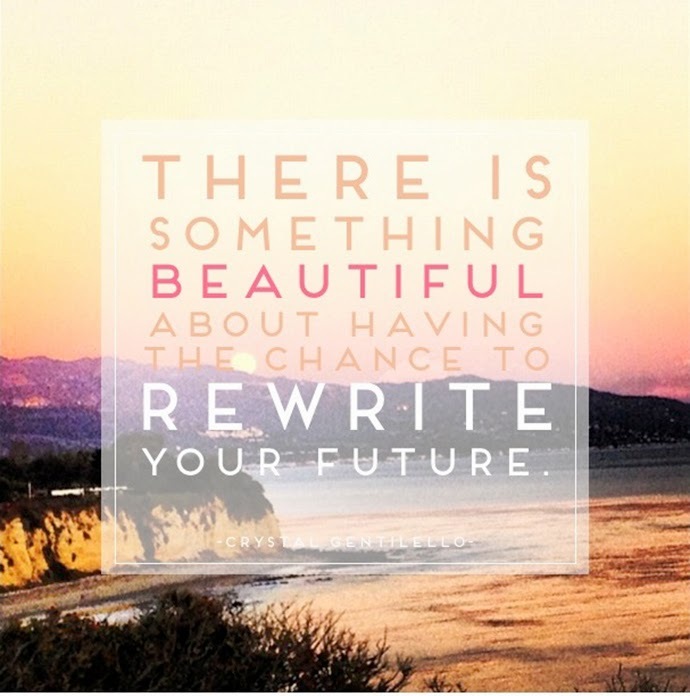 I’m looking at December as a clean slate. November was a tough month as I fell back into old patterns. It started with just 1 hair and from there increased exponentially until my pulling was almost as bad as it had been in June. Luckily I did not do any noticeable damage. As I mentioned in my last post, I stopped taking NAC and inositol in September due to morning sickness. I started taking both supplements again about a week ago. Already I feel the difference. My urge to pull has decreased and it is easier to fight the urge. I remember this sensation from the last time I started these supplements. I think my initial response to them was faster this time. I wonder if this is because I have taken them recently. It took about 2 months for the supplements to reach their full effect last time. I am expecting to see similar result this time around. Stopping and restarting NAC and inositol has shown me how much they were helping. This has renewed my determination and faith that I can overcome trich. I am off to a great start this December and plan to keep at it. When I started this war against my ttm I knew it would be hard and I knew there would be ups and downs. I need to stay focused on progress not perfection. Although this past month was not perfect or better than the month before (which was my goal), it was still much better than any other month in at least a year. I have to keep that in perspective. Now I am not a fan of excuses, so I hope that not how this next sections comes across. There are some factors that contributed to my ‘less successful month’. From a research standpoint, I think it is important to consider all of the variables. I learned that I was pregnant in September. It was a big surprise as my husband and I thought our family was complete. I had my tubes blocked using Essure in February and was assured by 3 doctors and a CT scan that I could no longer have children. Although shocked, I quickly embraced this precious baby. I know God allowed this pregnancy for a reason and am thankful for this blessing. 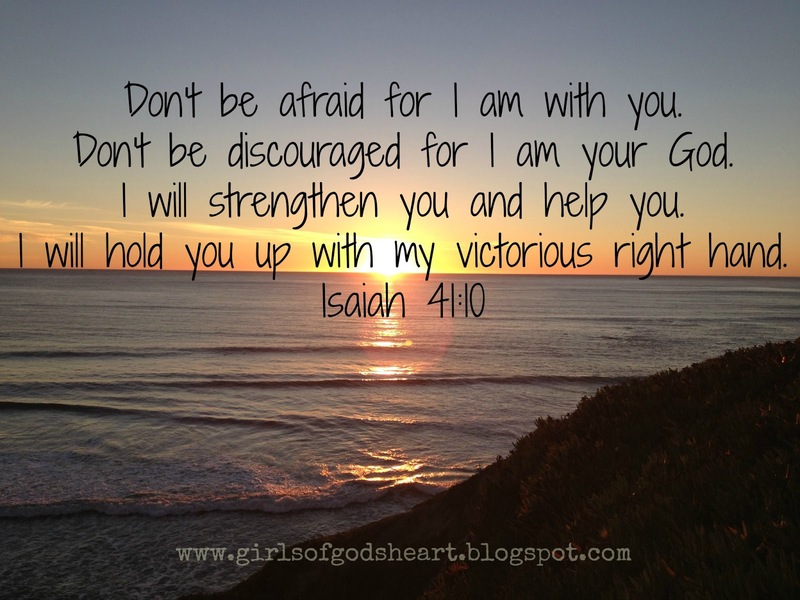 I do not understand, but I am trusting God. After learning that I was pregnant, I stopped taking all of my prescription medications for depression. I also lowered the amount of NAC and inositol as recommended by my OB. By the end of September I had to stop taking all of my supplements and extra vitamins I had been using to help fights my urges. I simply couldn’t stomach them with the intensity of my morning sickness. The urge to pull my hair returned about a week after I lowered my dose of inositol and NAC. The urge has intensified since completely stopping these supplements. Overall, my urge is still more manageable . I think this is in part due to the John Kender diet I am still following. I notice a direct correlation in increased urge if I eat anything I shouldn’t. 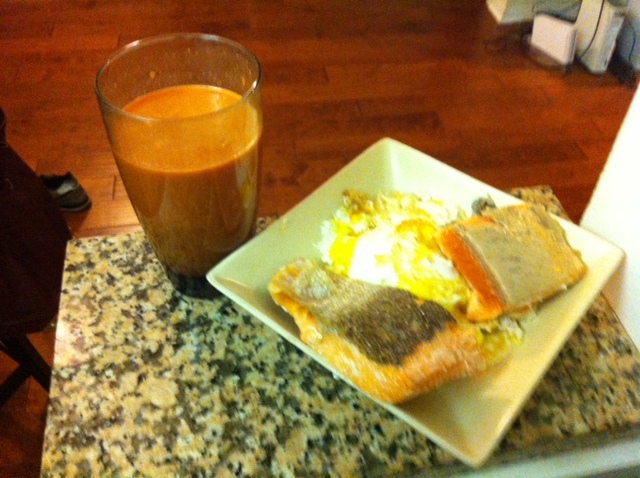 So I am trying to stick to the diet, but its hard because there is so little I can eat without feeling sick. Also these hormone really do cause cravings. I should start to feel better from the morning sickness soon (if this pregnancy is like my last 3). 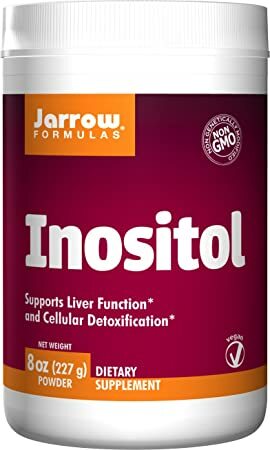 Once I feel well enough I am going to begin inositol again. Amino acid therapy can be very effective at restoring proper neurotransmitter function and alleviating the insatiable urge to pull that some many people with trichotillomania experience. There are really two ways in which amino acids are used for people with trichotillomania. The first is to use n-acetyl cysteine, or NAC, which has been shown in clinical trials to reduce the urge to pull in about 56% of people that use NAC (see our post entitled N-acetylcysteine and Treatment of Trichotillomania for more information). NAC is thought to work by increasing the concentration of glutamate (an excitatory neurotransmitter) in a part of the brain that reduces compulsive behavior and hair pulling. Glutamate works in conjunction with GABA (an inhibitory neurotransmitter) to control many functions in the body. Thus, NAC provides a safe and moderately effective strategy to use amino acid therapy to decrease the urge to pull associated with trichotillomania. However, we have found that a more effective way to implement amino acid therapy in regards to trichotillomania is to address the serotonin/dopamine system. By providing the brain the proper proportion of the necessary amino acid precursors and cofactors necessary to achieve optimal serotonin and dopamine function we have had an 86% success rate with eliminating the urge to pull, as opposed to just reducing the urge to pull. This increased success rate is attributed to the fact that dopamine exhibits control over the release of glutamate and GABA in certain parts of the brain. Therefore, the imbalance between glutamate and GABA that leads to trichotillomania in most people is likely to be caused by an imbalance with dopamine and serotonin (as they are farther upstream). By optimizing serotonin and dopamine function, all the systems downstream, including glutamate and GABA normalize as well. When this happens, the urge to pull disappears. Another key distinction between using NAC or this balanced amino acid approach is the ability to remain symptom free once the amino acid(s) have been discontinued. With NAC, the urge to pull often returns once the supplement is discontinued (this provides further evidence that NAC may not be addressing the root cause of the imbalance). However, with balanced amino acid therapy we have found that once optimized neurotransmitter function is established and maintained for a period of time, most people can reduce or eliminate the amino acids and remain symptom free utilizing dietary and lifestyle factors to maintain optimal neurotransmitter status. This means that it is very likely you won’t have to take these supplements forever and you can remain trichotillomania-free. 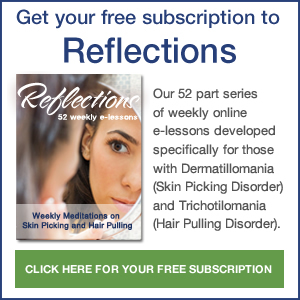 This occurs because we are addressing the underlying root imbalance that seems to lead to the urge to pull for most people with trichotillomania. By correctly the underlying neurotransmitter imbalance with balanced amino acid therapy you effectively eliminate the problem, which allows you to stop pulling your hair out. A 2009 study shows an amino acid NAC (N-acetylcysteine) is affective at treating Trichotillomania. NAC is a food supplement naturally occurring in foods such as Brussels sprouts, broccoli, chicken, eggs. It has very few reported side effects and can be taken in larger doses (consult your doctor if you’re unsure). You can buy NAC from Health Food shops and online at Amazon and other websites. Voluntary Psychologist for Trichotillomania Support Online, Pippa Wright Bsc (Hons) says “This is an exciting development, but there is still a long way to go and we hope some of you will help gather data now that the research can be revealed”. The affect of NAC is restorative in the area of the brain we have known for a while is affected by glutamate and trichotillomania. NAC is a relatively harmless supplement as long as you are not pregnant or breast-feeding and don’t have any heart, kidney or lung problems including asthma. If you have any concerns, please consult your doctor. You should not expect any momentous improvement in urges before 10 weeks. Trials were undertaken with volunteers not knowing whether they were given placebos, or the NAC supplement, the NAC group showed significant reduction in hair pulling. Trials have so far only lasted for three months but we suggest supplementing for a full year as it could take that long to redress any deficiencies within your body. *I have been taking 2400mg of NAC per day for about 2 months and have noticed a slight decrease in my urge. I will keep you posted about my progress with the combination of NAC and inositol. I am participating in an inositol trial with some members of my trich support group. It is very informal and we are sharing our methods and results. The conversation relating to this trial is on the daily strength trichotillomania support group. This is a great support group that I recommend joining. Being able to talk with others who understand what I am going through has been so helpful. After doing a lot of research I found that it was generally agreed that a large dose was needed in order for it to be effective with trich. I worked my way up and now take 18g each day. I do this by mixing 3 teaspoons or 1 tablespoon of inositol in water 3 times a day. I have found the Jarrow brand powder (shown above) to dissolve well. It is available on amazon for reasonable price. I mix it with warm water as it dissolves better that way. You can add it to fruit juice or other sweetened drink. I simply mix the powder with ~3oz of warm water and drink plain as it has a mild sweet taste that I actually like. The first few days it did give me gas, but that went away. In addition to inositiol I take 2400mg of NAC which I started several months ago and did not see much progress with that alone, therefore I added the inositol.